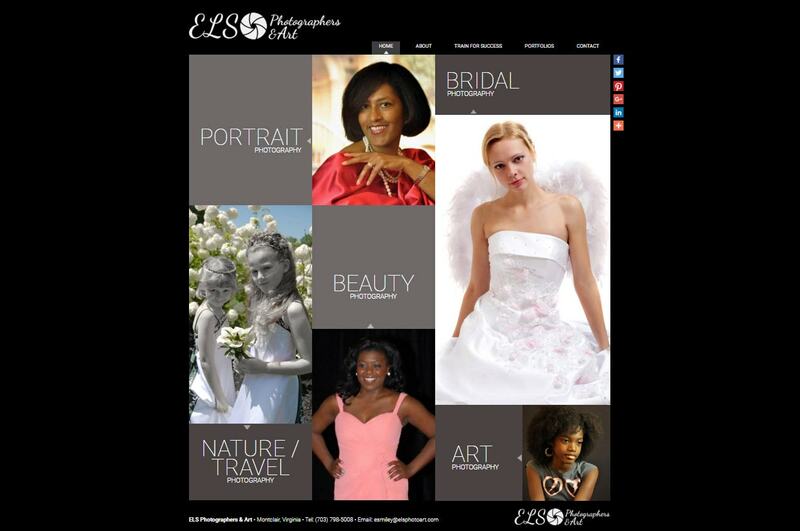 Website design for photography business | ELS Photography and Art is a custom Word Press website for professional photography services. The website home page features a large collage of photos with roll-over effects. The interior pages use advance light box image pop-ups. VISIONEFX also provided creative branding for the website and logo design. This recent web design Montclair VA project for ELS Photography and Art provides a competitive branded website presence in a highly competitive space. When searching Web design, Web development Montclair VA look no further than the design professionals at VISIONEFX. VISIONEFX, a Web design company based in Virginia provides services to national companies as well as small to medium businesses throughout the United States to include; custom web design, web development, eCommerce web design, Word Press web design and Joomla web development. SEO search engine optimization services. Super fast web maintenance, website repair. Websites fixed fast. Call: (757) 619-6456 or email info@visionefx.net.